Chocolate and Irish Cream. They go together like PB & J, Ross and Rachel, a wink and a smile… My point is, certain combinations just work. And the flavors in this smooth, chocolatey Baileys Martini recipe complement each other in such a beautiful, we’re-just-meant-to-be kinda way. 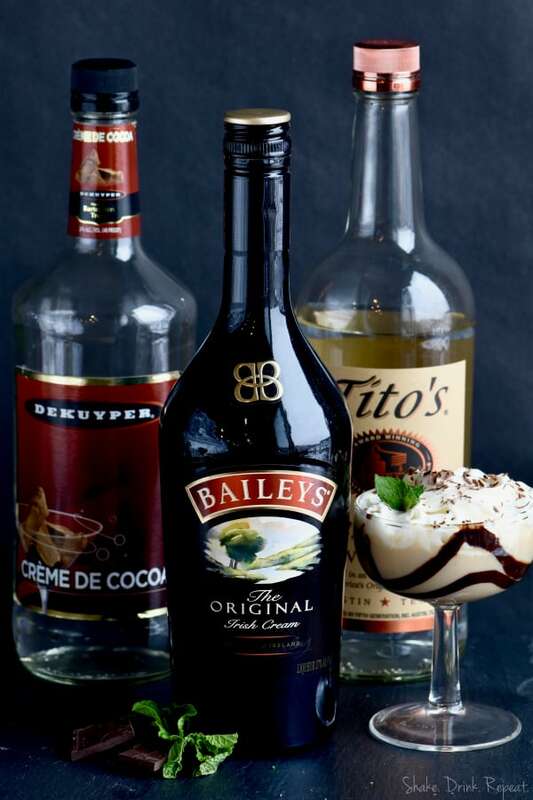 Baileys is one of those fan favorite liqueurs that blends deliciously in anything from coffee to dessert. The popular Irish cream can add such a rich and creamy texture to even your most boring cup of coffee. Try this Salted Caramel Irish Coffee and you’ll totally see what I mean. 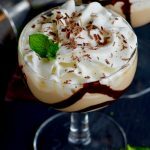 I never met an Irish cream recipe I didn’t love, but one of my very favorite Baileys combinations is with chocolate. Serve up a slice of this Baileys Poke Cake at your next backyard picnic. 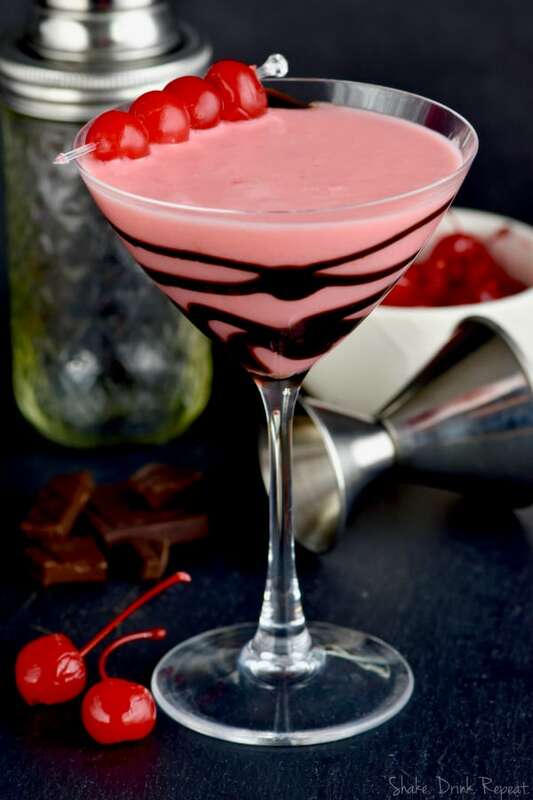 And if you love this chocolate martini recipe, try my Chocolate Covered Cherry Martini next time you’re craving a dessert in a glass. WHAT GOES IN A BAILEYS IRISH CREAM MARTINI? Baileys Irish Cream (of course). There are other brands out there, but Baileys is a tried and true classic. HOW DO YOU MAKE A BAILEYS MARTINI? In two coupe glasses, carefully drizzle chocolate sauce around the inside. Combine four ounces of Baileys Irish Cream, two ounces vodka and two ounces creme de cocoa in a martini shaker and, you know, shake. Pour into your two chocolatey lined coupe glasses. Top with whipped cream and some gorgeous chocolate shavings and cheers! Chocolate shavings are simple to make. Use a veggie peeler and gently run across a long chocolate bar. It’ll fancy up any dessert, cocktail, Thursday night, you name it. 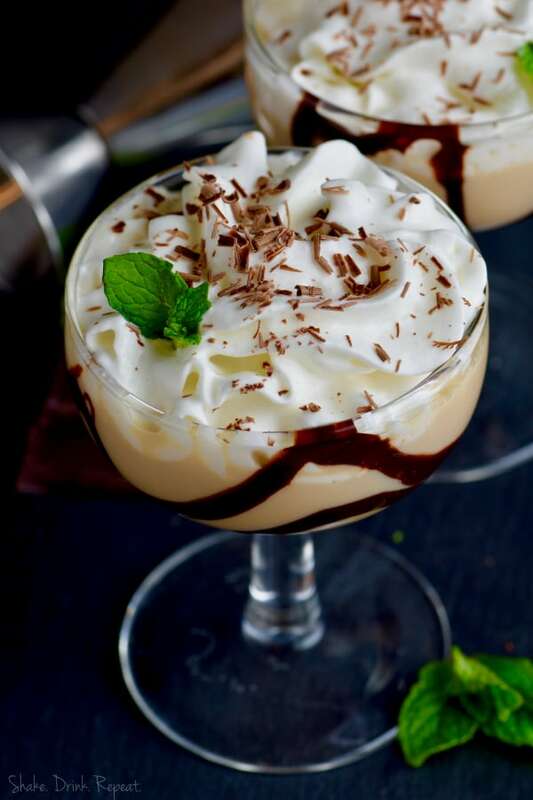 Looking for other fun Baileys recipes? 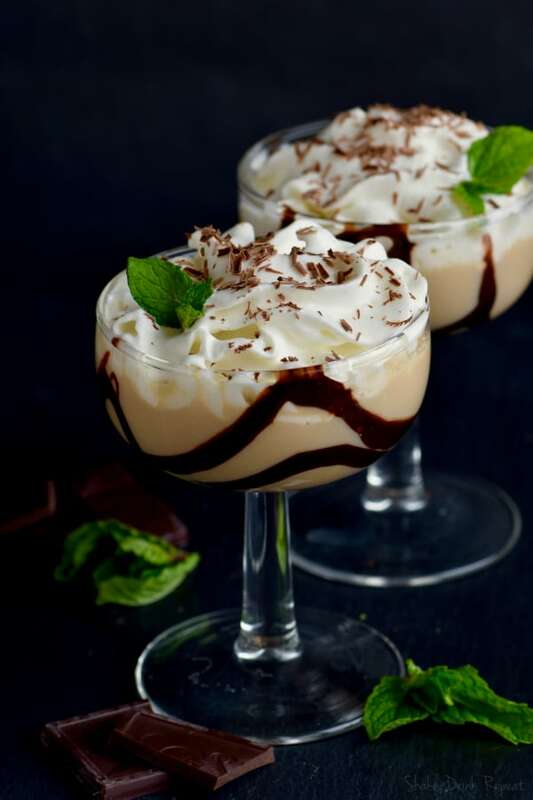 These Irish Cream Pie Cocktails or Baileys Irish Cream Jello Shots are sure to be crowd pleasers. And why keep it just at dessert? Make Baileys Spiked French Toast for brunch and prepared to be wowed. This Baileys Martini is the perfect combination of chocolate and Baileys! Dessert in a glass! Gently drizzle chocolate around the inside of two small coupe glasses. 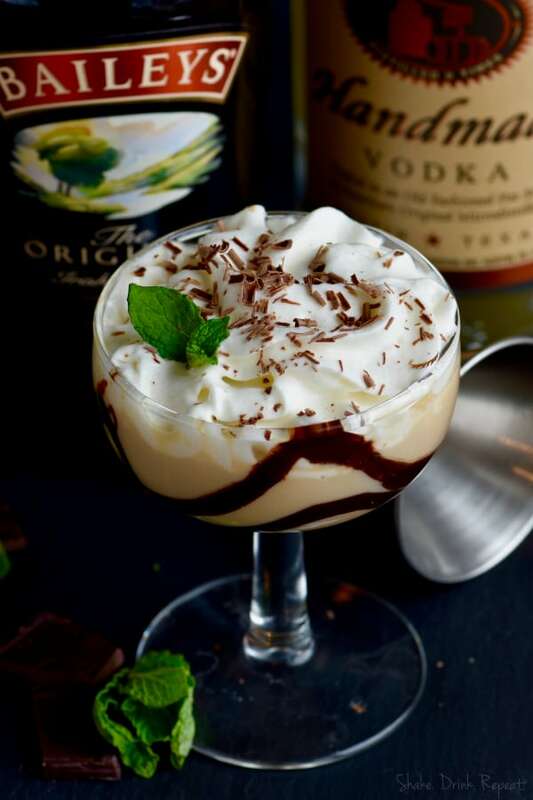 In a martini shaker, combine the Baileys Irish Cream, vodka, and creme de cocoa. Shake to combine. Gently pour into the prepared glasses. 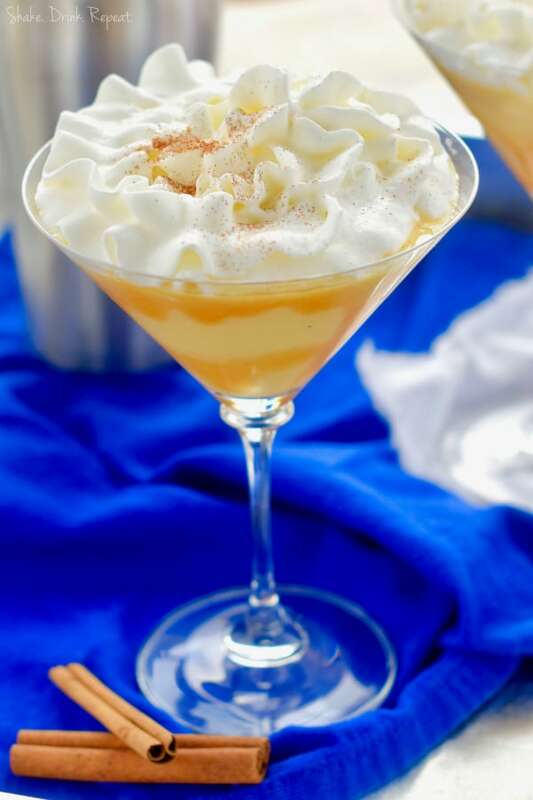 Top the martinis with whipped cream. Add chocolate shavings and enjoy! There are a number of great ways you can make chocolate shavings. If you want to make really beautiful curls, very very gently use a vegetable peeler on a long chocolate bar. This post contains affiliate links, if you click on them and then make a purchase, I make a small amount of money at no additional cost to you. Thank you in advance for supporting Shake. Drink. Repeat.